This week saw health and safety professionals across Europe get behind European Week for Safety and Health at Work. The focus of the European Agency for Safety and Health at Work’s 2016 Campaign is ‘Healthy workplaces for all ages’. The topic is very relevant and will remain so in the immediate future. The European workforce is ageing, retirement ages are rising and working lives are very likely to become longer. Encouraging the exchange of information and good practice. Employers are legally bound to ensure the safety and health of workers in every aspect related to their work including assessing the risks to the safety and health of workers and adapting the work where necessary. 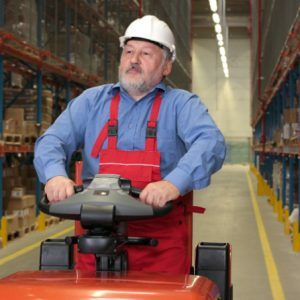 Specific risk factors related to the individual worker’s ages need to be considered in risk assessments. For example, young workers risks may include lack of experience or training. For the older workforce, risks are related to potential changes in functional capacities. EU-OSHA have an extensive e-library of guides for managing managing safety and health at work for an ageing workforce. They are targeted at four different audiences; employers, workers, HR managers and OSH professionals and contain a wealth of useful information. The guides give lots of examples of good practice and provide some great links to further reading. Click here to select your profile and read the guide that’s most relevant to you.